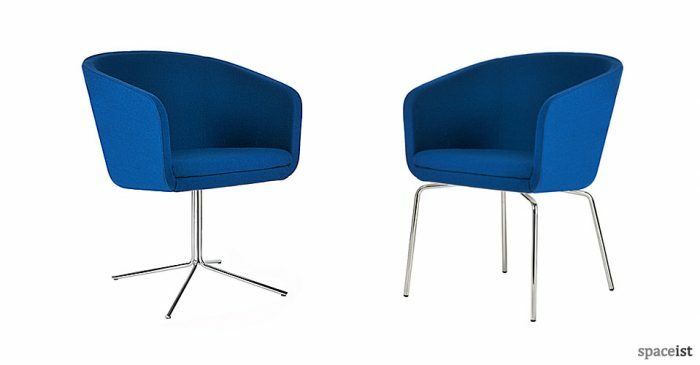 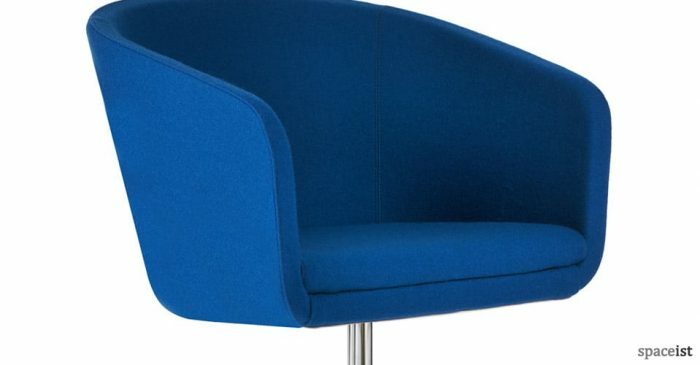 The Cape chair has a medium high back and arms offering a supportive designer bar chair. 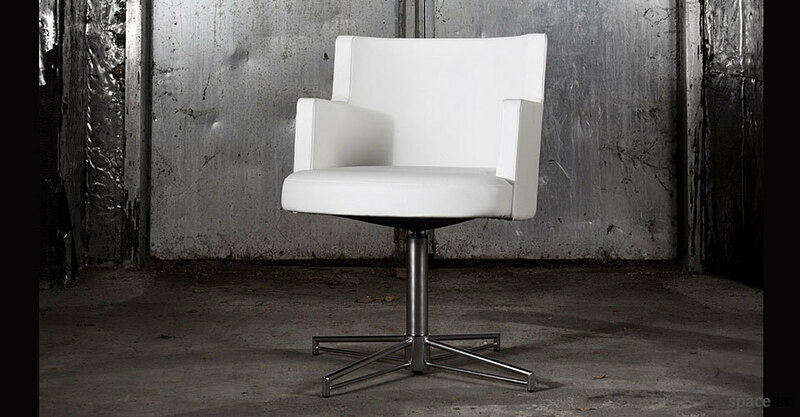 The chair is shown with a 4 star swivel x base in polished chrome. 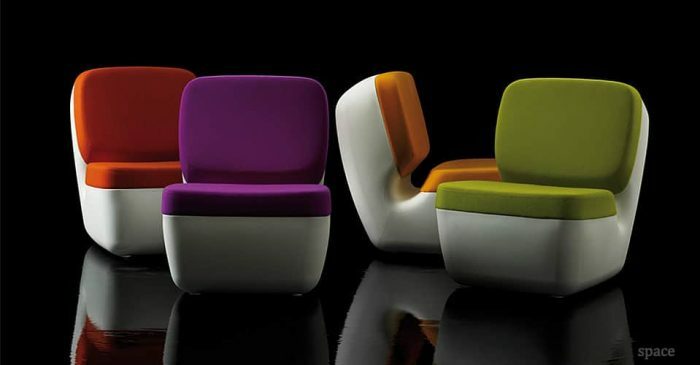 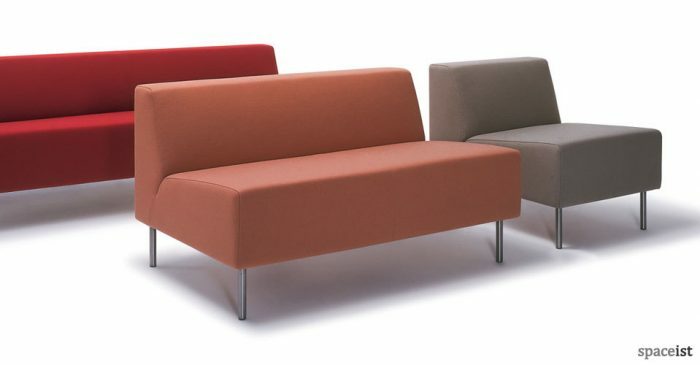 Full colour and fabric ranges can be specified.